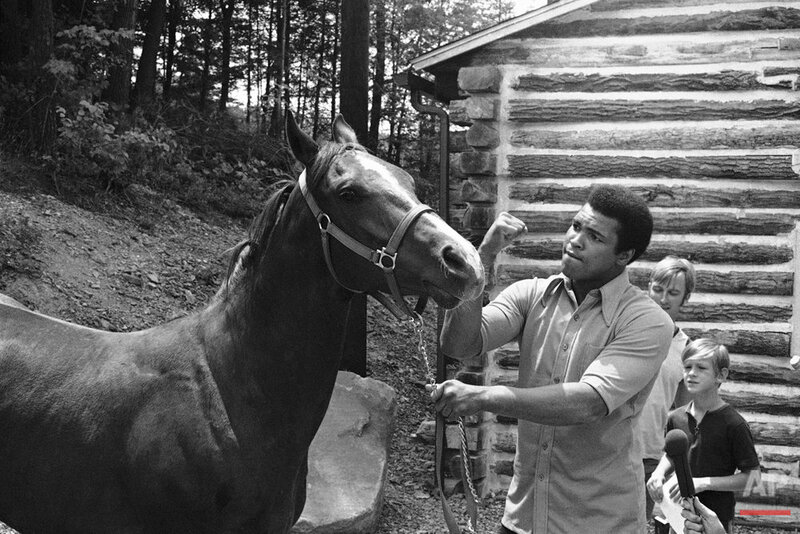 He called himself "The Greatest," but Muhammad Ali was humble, friendly and eminently approachable whenever he came to this out-of-the-way spot in northeastern Pennsylvania to train throughout the 1970s. 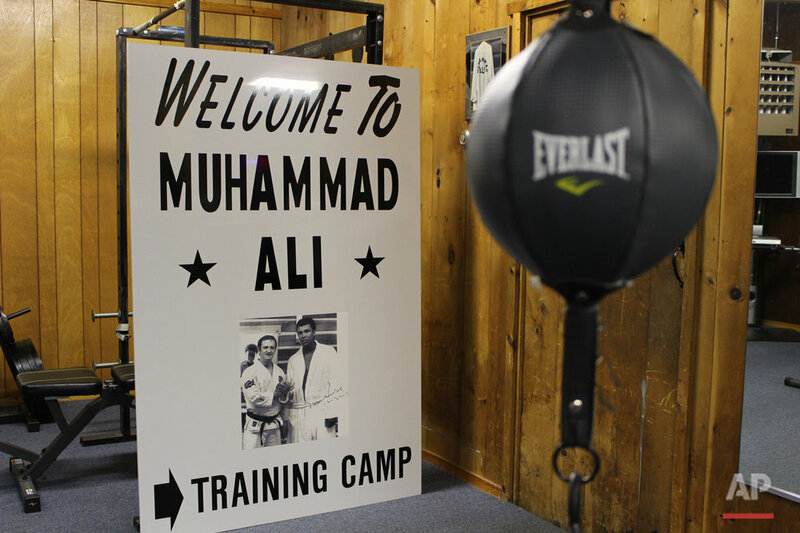 Since Ali's death last week at age 74, residents have been coming to the rustic hilltop camp where he sparred with a young Larry Holmes and prepared for his epic fights against George Foreman and Joe Frazier. In paying their respects, they recalled how one of the most famous people on the planet became a familiar presence at the edge of Pennsylvania's coal region. It's hard to imagine now, with athletes and celebrities so cloistered from the public. 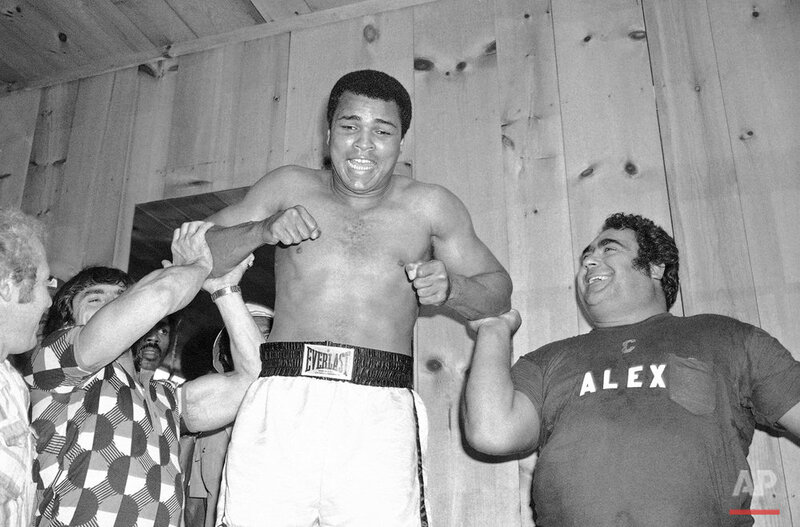 But 40 years ago, locals regularly showed up at Ali's training camp — and he welcomed them in. He got out into the community, too, eating at local diners and running on the country roads, waving back at residents who waved at him. Every old-timer around here seems to have an Ali tale. James Ferenchick, 71, Orwigsburg, recalls stopping at the camp early one morning before work and running into a worker hooking a horse to a carriage. Ferenchick told the worker he was there to see Ali. The worker fetched Ali from his cabin, and Ali gave him an autograph. "He says to me, 'Are you in a big hurry?' I said, 'I have to go to work, but no, I can be late.' He says, 'Jump in the carriage.'" And that's how Ferenchick found himself on a 45-minute buggy ride with the champ, up and down Sculps Hill. "I'm sitting there with goosebumps," Ferenchick said. "It knocked me over." The camp had its share of famous visitors, too, including Elvis Presley, who went antiquing with Ali. But locals considered Ali as one of their own, Ferenchick said. Growing up in nearby Pottsville, Noreen Marzano visited Deer Lake with her parents many times to watch him spar. He'd do magic tricks for the kids, "then he would show us how the magic trick worked, which I don't think he was supposed to do," she said. 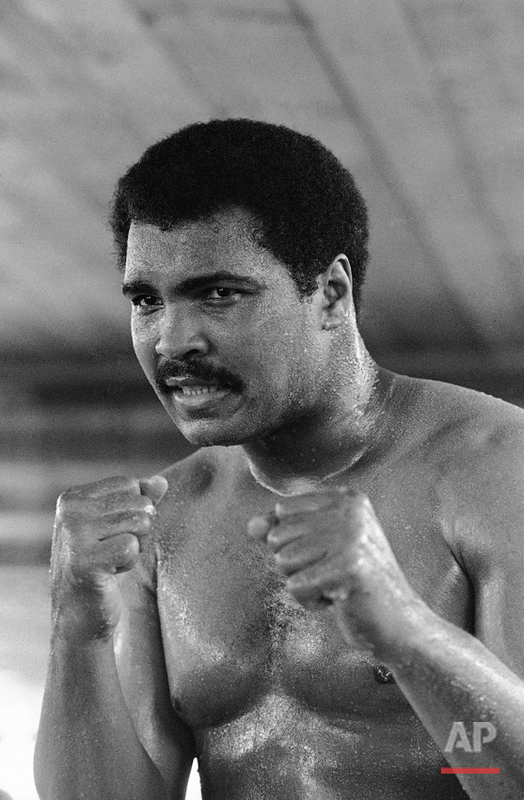 She said her father, a retired ophthalmologist, removed a particle from Ali's eye after the Rumble in the Jungle, his 1974 title fight with Foreman. Ali gave him an autographed picture that hangs on Marzano's wall. "It was a very different time. There was no entourage, no security keeping people back. There was always a crowd here and he loved it," said Marzano, 58, of Clinton, New Jersey, who stopped by the camp this week after visiting her parents. "For someone who was the most famous athlete in the world at the time, he was just so genuine and welcoming to everyone," she said. Ali bought this wooded 5-acre tract in 1972 and installed 18 primarily log buildings, including a gym, a dining hall, a mosque, visitors' cabins and a horse barn. 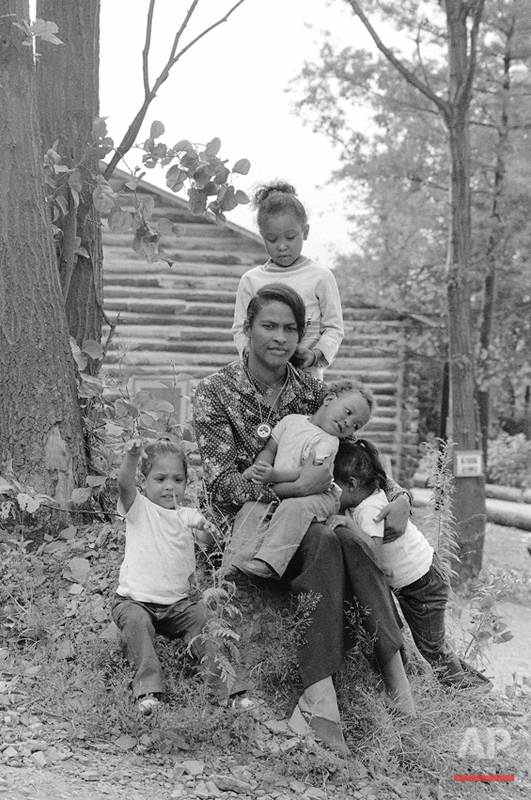 He trained at Deer Lake until his last fight in 1981. It looks much as it did in Ali's day. His desk and typewriter occupy an office near the gym. The dining hall has the original stove and kitchen table. 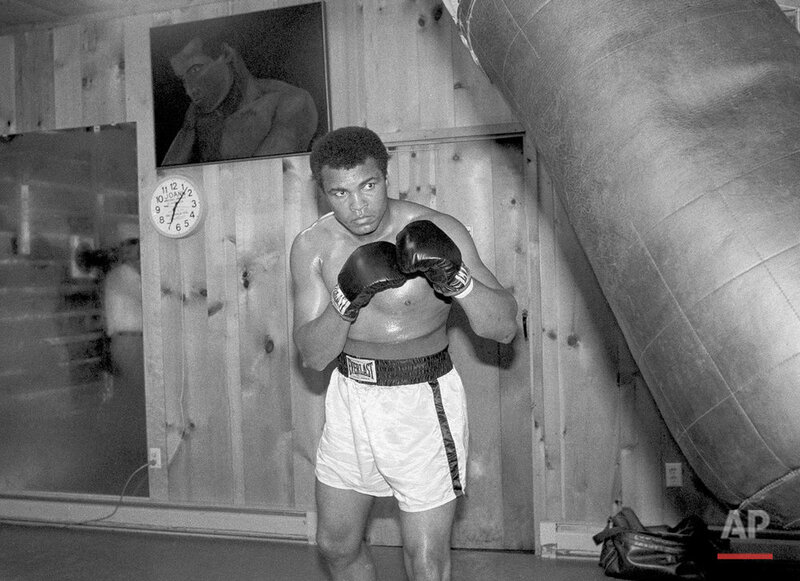 His footprints can be seen on the wood-planked ceilings — Ali had trod on them while the camp was under construction. 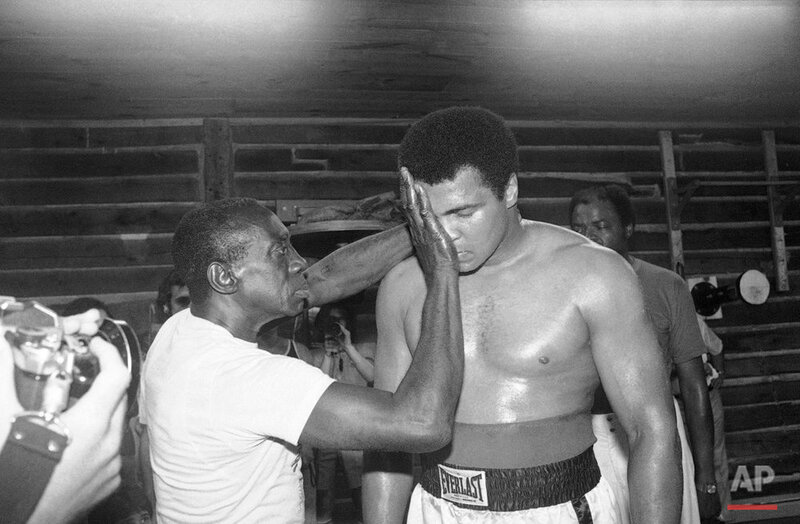 Ali sold it in 1997 to the noted martial arts instructor George Dillman, who trained Ali and who once operated it as the Butterfly & Bee Bed and Breakfast. Two martial arts camps are held there each year. It's been for sale, and Dillman's son, Allen Dillman, 51, said interest has been high since Ali's death. He said the family wants the camp to go to a buyer who will preserve it. "I'm hoping we get someone who brings back the life in it, brings back the energy," said Dillman, who's contemplating a public memorial service at the site. "Because the energy's here." Here is a gallery of photos for our archive of Ali's Deer Lake training camp. Text from the AP news story, Muhammad Ali welcomed all at Pennsylvania training camp, by Michael Rubinkam.